2019 Season Rehearsals Begin January 8, 2019! Diversity: The Voices of Sarasota was founded as an LGBT choral group which has grown to include members from all walks of life who share their talent with the entire community. We are not just singers, but a family. We are a dedicated and varied group of people who love to sing and love the company of other singers in this volunteer choral ensemble of all cultural backgrounds and abilities. Our organization is committed to fostering an environment of professionalism, respect, pride and unity. Members are welcome regardless of sexual orientation and we are committed to creating and maintaining a loving and supportive group of gay and gay-friendly persons with a common goal of singing for and reaching out to the community. Our audiences have responded to our distinctive brand of entertainment with genuine enthusiasm and keep coming back again and again. We are currently under the talented leadership and artistic direction of David Stasney. If you have any questions about singing with Diversity, please send an email to membership@diversitysarasota.org or call us at (888) 550-6279. Rehearsals are held at St. Andrew United Church of Christ, 6908 Beneva Road, Sarasota, 34238. Seasons run from August to December and January to May; at the beginning of each season, we welcome new members. Diversity performs at least one major concert each season in May and December and often makes additional appearances throughout the year at various events. Dues are required and are currently $150.00 for the year or $75.00 for each season. There is also a refundable music deposit of $15.00. Each chorus member is responsible for acquiring whatever concert attire is specified for any given performance. We realize many of our singers are on a budget and we strive to find the best looking wardrobe at the most reasonable cost. Open, very casual “auditions” may include pitch matching and singing scales. 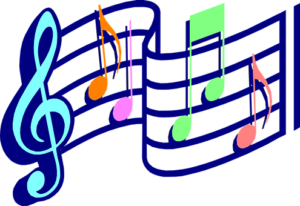 The ability to read music is not a requirement – audio learning tracks are available to all chorus members. If you are not sure of what vocal part you would be best suited to, our artistic director, David, will spend a few moments with you to determine where you will be most comfortable.